HOUSTON (CN) — The American Dream is fast approaching its expiration date for thousands of law-abiding immigrants who will become illegal aliens when the clock runs out on their protected status. Three shared their stories with Courthouse News and told what awaits them if they are forced to return to their home countries. Ochoa, a construction worker in San Francisco, has lived in the United States since 1994, when he fled El Salvador at age 18, driven out by civil war and guerillas who tried to recruit him to fight U.S.-backed soldiers. “When I came here I got the news that one of my mom’s sisters got killed by gang members in the middle of the night. She was raped in front of her two kids. El Salvador is really bad,” Ochoa said. He applied for political asylum, but was placed in deportation proceedings. Three earthquakes that rocked El Salvador in early 2001, displacing 1.3 million people, gave him an opening to stay legally in the United States. The earthquakes led the U.S. government to grant Temporary Protected Status to Salvadorans who were uprooted by the earthquakes, or, like Ochoa, were already living in the U.S. 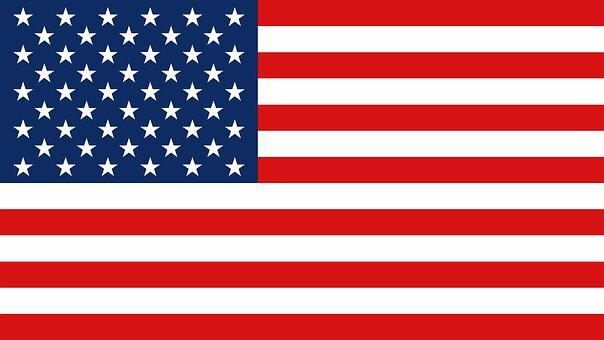 The government grants such protection to some foreigners who were in the United States when natural disasters or wars prevented them from going home. 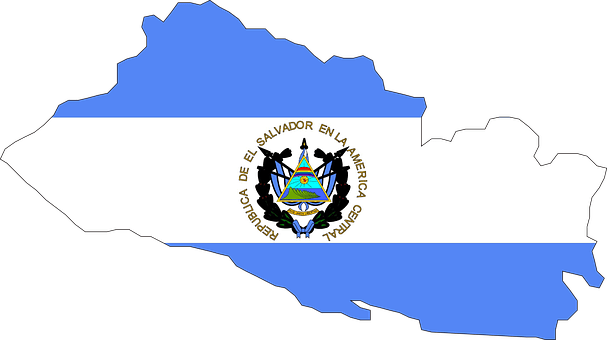 With their TPS status renewed several times over the years by Republican and Democratic presidents, more than 250,000 Salvadorans have laid down roots in the United States. But President Trump has moved to sever those ties. Trump’s administration terminated the status for Salvadorans effective Sept. 9, 2019. The move makes no sense to Ochoa, who at 42 has lived more than half his life in the United States. TPS beneficiaries pay the government $495 every 18 months to renew their status, a process in which the FBI checks their backgrounds and takes their fingerprints and they get work permits. Ochoa is most worried about what a return to El Salvador would mean for his two sons, both U.S. citizens, who have never been to the country. He said his 11-year-old son has allergies that build up fluid in his lungs, and he and his wife have had to rush him to the hospital several times in the middle of the night. The Ochoas just learned their 8-year-old son is allergic to cashews. “We had to run to the hospital. He got one EpiPen injection in the leg,” Ochoa said. He said hospitals in El Salvador are not staffed like they are here, and people who go to Salvadoran hospitals for emergencies have to wait two or three days before doctors can see them. “It’s really scary. My kids both need immediate medical attention. And if they don’t give that to them they could die,” he said. Guzman, 56, came to San Francisco from Honduras in 1993. He said he left the country after catching the attention of Honduran federal police, who mistook him for a Salvadoran guerilla. Guzman has cut his slice of the American pie and then some. As a well-paid garbage truck driver in San Francisco for the past 18 years, he bought a $195,000 house in the East Bay city San Pablo in 2008. He now rents out that home and lives in a $400,000 house he bought in San Pablo in 2014. Guzman is one of 58,000 Hondurans whose TPS status will end Jan. 5, 2020. “I have a lot of problems because after 18 months I don’t have the TPS, no jobs, I’ll probably lose my houses, you know. Maybe I will sell them, or … I don’t know. I need to talk to somebody, maybe a lawyer, to find out what I need to do,” he said in a July interview. The U.S. government extended TPS to Hondurans in January 1999 after Hurricane Mitch killed 7,000 people there. To justify ending TPS for Honduras, Homeland Security Secretary Kristjen Nielsen cited the Honduran government’s claim the country’s unemployment rate in 2016 was just 7.4 percent. Guzman disputes that figure. He sends $200 a month to his daughter in Honduras. He said the country’s unemployment rate is actually around 70 percent, and that it would be difficult for him to get a job there due to his age. “They think 40 is too old, you know. Yes, it’s a problem. Too many people are not working when they are old. There are too many old poor people because nobody gives them a job,” Guzman said. Guzman said any savings he took back to Honduras could be stolen by gangs, who target people they think have money and charge them impuestos de guerra: war taxes. “They say, ‘You give me money every month, then you’ll be OK. If we don’t get the money every month, you’ll have trouble.’ Or every week,” Guzman said. Ochoa said Salvadoran gangs also do shakedowns. “The gang members there, when you come there they say, ‘Oh this person is coming from the United States.’ The first thing they do is charge you war tax. You have to pay tax to be here. If you don’t pay the tax, then they kill you; they don’t care,” he said. Guzman said it will be easy for U.S. immigration agents to find and deport him if his TPS status ends because the government has all his information on file. Asked if he would try to come back, he was honest. Larrieux, 39, co-owns a public relations firm in South Florida that promotes Haitian bands and singers. She came to the United States in 2010 from her hometown, Haiti’s capital Port-Au-Prince. She married a legal resident, who applied for a green card for her. But complications with the application led immigration agents to withdraw it. Larrieux became a TPS beneficiary after the U.S. government added Haiti to the program after the devastating 2010 earthquake that killed more than 200,000 people. Eight years later, Haiti still has not recovered, Larrieux said. 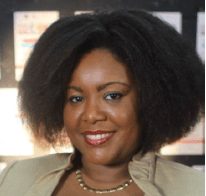 Larrieux is among 58,000 Haitians set to lose their TPS status July 22, 2019. Rejection is a familiar feeling for Haitians, Larrieux said. Since 2012 the government of the Dominican Republic, which splits the Caribbean island Hispaniola with Haiti, has been stripping Haitians of their citizenship and deporting them. “They had to leave everything that they had in the Dominican Republic and go back to Haiti with nothing,” she said, adding that racism against dark-skinned Haitians is behind the purge. Larrieux, who has a master’s degree in computer science and started hosting TV and radio shows in Haiti at 17, does not seem concerned about her job prospects if she is forced to return to Haiti. But she said the unemployment rate is very high. “This is the way I look at it: If you take a family of 10 in Haiti, you might have maybe four people who work and six people who don’t work,” she said. Haiti is the poorest country in the Western Hemisphere with around 60 percent of the population living under the national poverty line of $2.41 per day, according to the CIA and the World Bank. Staff at the Haitian and Salvadoran embassies in Washington, D.C. did not respond to repeated requests for interviews. 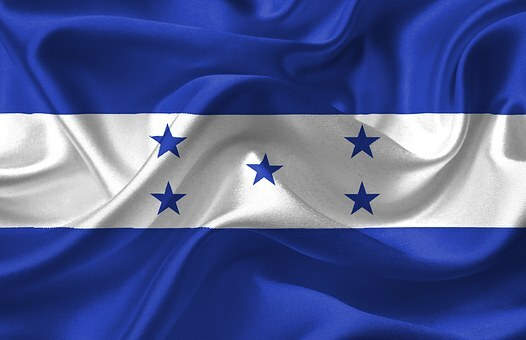 Leonila Madrid, a spokesman for the foreign ministry in Honduras, did not respond to an email asking if the government will provide police protection for returning TPS beneficiaries. What options do these immigrants have to try to legalize their status in the United States? “Having TPS does not mean you are on a path to legal permanent residency,” said Houston immigration attorney Ruby Powers. She said the best options would be if they married a U.S. citizen, or have a U.S. citizen child over the age of 21. A spouse or an adult child can sponsor an immigrant’s green card application, though the process can take years, and these days often is delayed indefinitely. Ochoa, Guzman and Larrieux have some supporters in Congress. More than 100 members from both houses of Congress, Republicans and Democrats, wrote in an August letter to Secretary of State Mike Pompeo that ending TPS for Hondurans, Salvadorans and Haitians would be a mistake that could backfire by destabilizing those countries and triggering a new surge of immigration to the U.S. The lawmakers warned that the TPS terminations could create another family-separation crisis, as parents must decide whether to leave their children in the United States or take them to their home countries. “The decision to end TPS for Salvadorans, Hondurans and Haitians will also result in cruel family separation. TPS beneficiaries will face the difficult decision of separation from U.S.-citizen children or taking their children to dangerous countries, risking their safety and making them vulnerable to gang recruitment,” the Aug. 2 letter on congressional letterhead states. Despite the lawmakers’ support, TPS beneficiaries have little hope that this Congress will pass legislation allowing them to stay in the country, given its track record on immigration. With the expiration date on their protection approaching, attorney Powers said these tens of thousands of people need to start exploring ways to legalize their status, as the process can take months or years. “People should be searching out for these alternatives now,” she said. El Salvador, Honduras and Haiti have the most TPS recipients in the United States. The Trump administration also has terminated TPS protection for immigrants from Sudan, Nicaragua and Nepal, effective Nov. 2, Jan. 5, 2019 and June 24, 2019. The administration also is considering whether to extend or terminate TPS for people from Somalia, Yemen, Syria and South Sudan in 2019 and 2020.